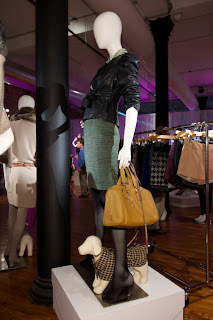 Last week friend and fellow blogger Adina of Krasey Beauty headed over the the holiday preview of The Limited on my behalf. She took a few photos and browsed around. 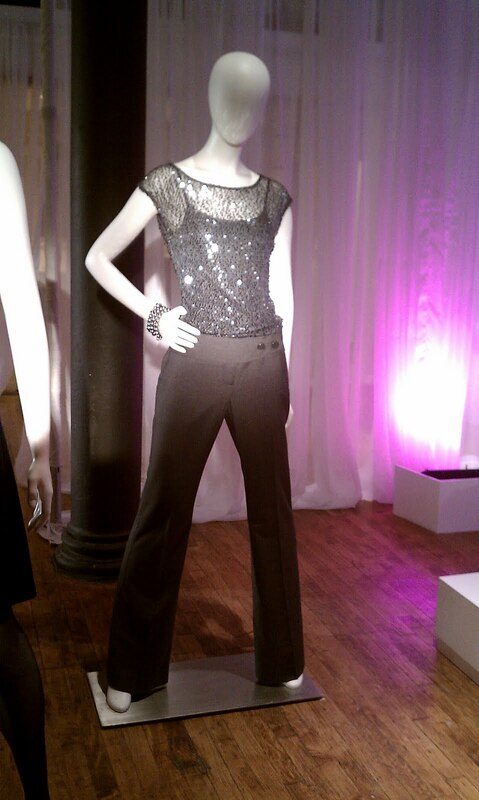 The line looks pretty, and tailored while also being fairly basic. 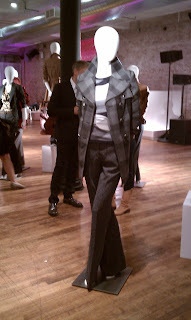 The pieces are very wearable and there's nothing wrong with that. The camel trench is very on trend . New is a line of clothes for dogs. 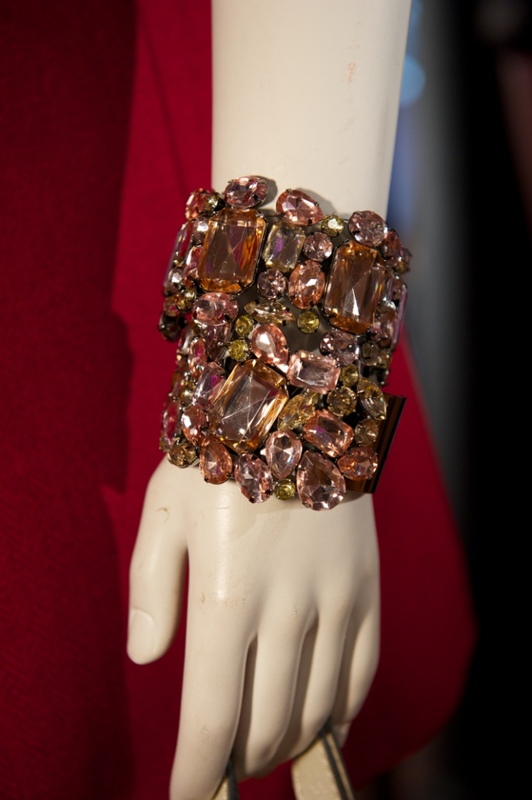 The big bracelet is what really catches my eye and I will be on the lookout for it come October when holiday hits stores. 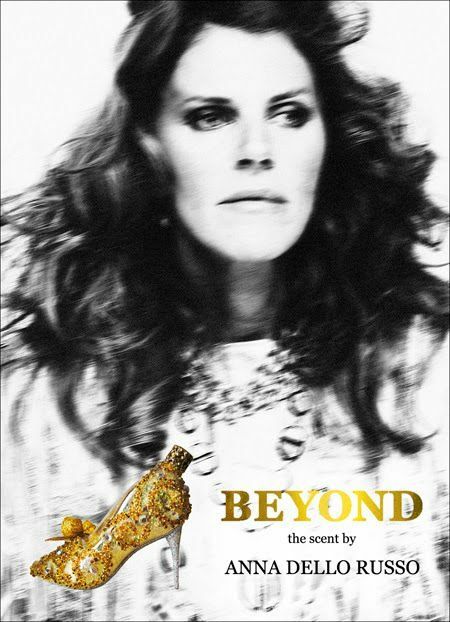 The most fun looking perfume bottle is coming from an unusual source-Anna Dello Russo , editor of Japanese Vogue. This bottle takes the cake. It's a shoe. I cannot tell you how much I have to have it. Never mind that I don't really care for the main notes listed of almond and vanilla. Who cares? I can just gaze at the bottle. 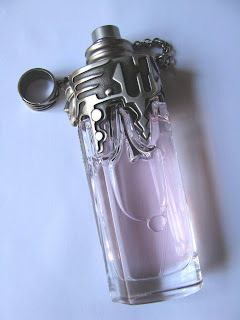 The fragrance will be called Beyond and I have no idea if it will even be released here in the US. She is more of a European figure. Release is set for Christmas , so we'll find out more eventually. Why didn't someone think of this sooner? How odd is it that a Vogue editor will have her own perfume? Odd, but she certainly made it look good . I only know a little about Dello Russo, but what I do is that she is a major fashion figure. She lived and breathes fabulous clothes and her style is right off the runway, but done her way. Her blog was a wonderment. 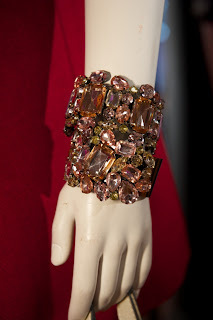 All along the sidebar are photos of gorgeous jewelry, which I assume is hers. If so, it's a fabulous collection. Then there's her pool with the monogrammed automatic cover at the end. It's a fun read. 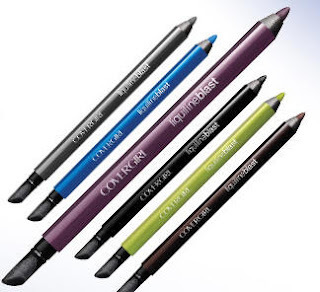 Cover Girl's Blast line continues to grow, this time with LiquiLine Blast eyeliner- colorful eyeliners with a smudger at the end. These glide on so easily like many of the high end brands and really don't need the smudger side much. The pencil point is fine and leaves a nice fine, even line. The color pigments are bold and these hold up well on the eye. Shown are Green Glow and Violet Voltage. Green Glow is a bright lime green and very fun. I also have Silver Spark ( not shown) which is not silver but a deep gunmetal grey . It's a perfect deep, dark grey . Suggested retail is $ 7.99 . In stores now. 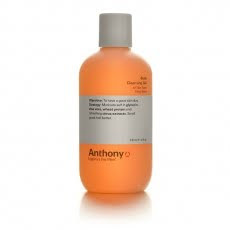 Tone's newest body wash is Daily Detox Purifying Body Wash with White Clay & Pink Jasmine . It's a creamy body wash with white clay ,vitamin e, and pink jasmine . The white clay is the detox part, as it is a purifying ingredient. You see it a lot in skincare for oily prone skin . It washes off the grime of the day basically. The wash has a floral/jasmine scent and is creamy and moisturizing but not heavy. Some others have been almost too creamy at times. I find them best for winter, Daily Detox is fine for the warmer weather too. You can find it all mass market retailers . Retail is $3.99 and you can download a $ 1.oo off coupon here . For an easy solution to skincare on a weekend getaway, have a look at the cute set by Sampar called Good Weekend or Bon Weekend en francais. It's all about the basics or the essentials, in one small package. You get five 4ml bottles in a box that's 2 -1/2 x 5 inches. All you might need for 2 days and it gets through airport security and fits in a small pocket of a bag. Nocturnal Lifting Mask - actually a moisturizer that firms, reduces lines and plumps overnight with" 95 % active ingredients". Leave on overnight and rinse off in the AM. 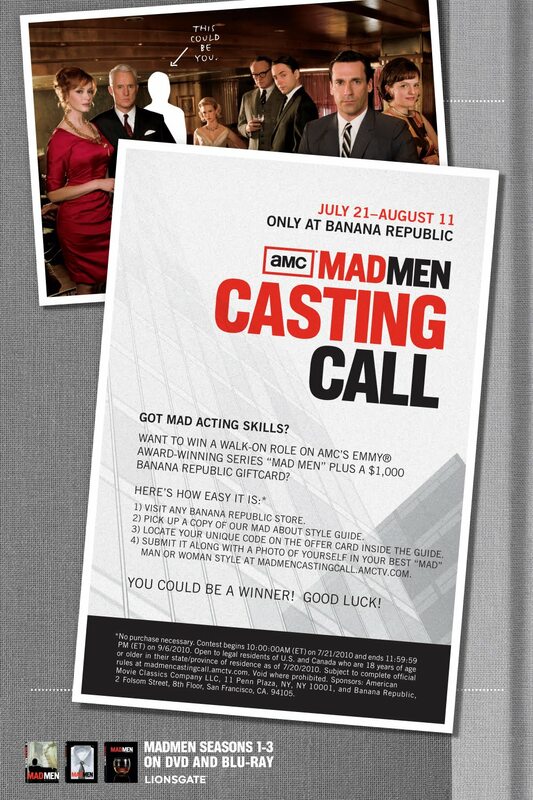 Calling all Mad Men fans, Banana Republic has partnered with the fantastic series once again and is offering not only a style guide with tips on how to get the retro look of the show in a modern way but a chance to a walk on on the show itself. 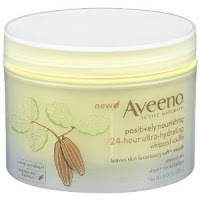 New from Aveeno is Aveeno Naturals Positively Nourishing 24-Hour Ultra-Hydrating Whipped Souffle . 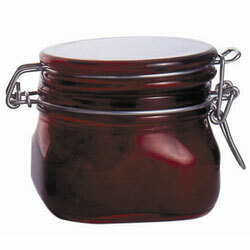 Coming in a jar and not a bottle, this is a the name says, super hydrating. I wasn't expecting to like it that much until I tried it. I really haven't used much in the Aveeno line since they changed their acne soap about 10 years ago. I figured this would be basic and just ok, but it was better than that. It's very creamy and light, but not greasy , which is key. I like heavy moisture but I don't want to wait long for it to sink in. This dries pretty fast and leaves skin immediately smoothed and softened . It performs very high end and feels great on skin. The scent is light cocoa butter and doesn't last long. Ingredients include Shea and Cocoa Butters plus a blend of " Active Naturals oatmeal" . This is great for after sun soothing and will be great in cold weather as well. 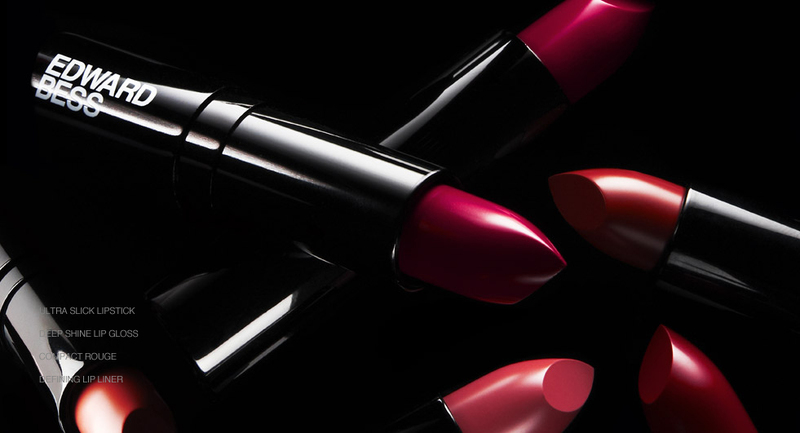 Been wanting to try Edward Bess lipsticks? Now you can , on sale, today only. 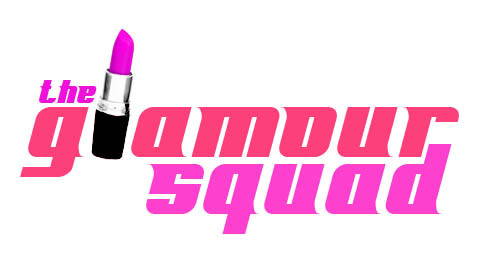 His lipsticks are pretty fab and 40 % off is definitely a deal. All you do is enter OPRAH promotion code at http://www.edwardbess.com/ to receive 40% off Ultra Slick Lipstick today only. Please drop back in and let me know if you caved and on which shades. Beauty 360 is discounting all Suncare and Skincare by 20% thru July 25th. Some good picks are Mario Badescu and Ahava. Lines you rarely see on " sale ". Bliss and Elemis have formed an exciting new partnership. You can now get 2 of the much lauded Elemis spa treatments at Bliss Spa locations. Previously the full treatments from Elemis were only available at their London locale. I've spent some time browsing that spa online and have it earmarked as a place to go whenever I get back to London., It looks pretty amazing and the Lime and Ginger Salt Glow is the one I though looked best. Now , London or not, you can have some Elemis and Bliss. Bliss will also offer a selection of Elemis products at 15 of their locations. ( Get the Exotic Frangipani Monoi Oil it's amazing). "In August 2010, Elemis, the global spa and skincare brand and CEW Best British Beauty Brand winner, will join forces with skincare and spa brand Bliss, by offering two of its renowned body and facial treatments at Bliss Spas nationwide. Bliss lovers can now look forward to experiencing Elemis’ clinically tested facial, the Tri-Enzyme Resurfacing Facial, which stimulates the natural exfoliation of the top layer of skin to unveil the beautiful and radiant skin that was hiding underneath. Guests seeking a full body glow can indulge in the Elemis Exotic Lime & Ginger Salt Glow at Bliss. This sumptuous treatment invigorates and revitalizes the body with a light body brushing, followed by warm oils dripped luxuriously all over the body and an exfoliating application of Elemis’ sublime Exotic Lime & Ginger Salt Glow scrub. An application of Elemis’ Exotic Island Flower Balm, a scented lotion with fragrances of Jasmine, Ylang Ylang, Osmanthus and Vanilla, is applied as a finishing touch . It's blazing hot and sunny out there in most places and even with sunscreen piled on, some gets through, and we get hot , sometimes sun parched skin. A new option to refresh skin is Liz Earle's After Sun Gel. This gel is lightly cooling and has aloe vera and pure lavender essential oil as well as cucumber, glycerin and Vitamin E.
The gel is moisturizing but not too sticky and dries pretty quickly. It smells mainly of lavender and the scent doesn't stay too long. Perfect for after swimming, beaching or just any time you want to boost skin without heavy moisture. Luxe perfume house Creed's newest men's scent is Aventus. Aventus is a tribute to Napoleon . Aventus means success and this fragrance will debut here in the US ( September) before Europe. Usually it is the other way round. 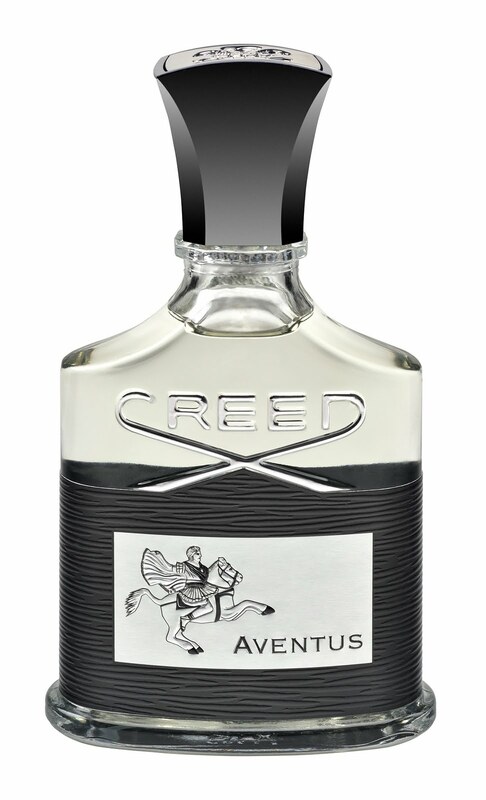 Aventus is citrus ( the bergamot) and lavender to my nose in the beginning. Mind you lavender is not one of the official notes . As it moves midway, the apple and patchouli come out but neither is strong, not is it fruity. I also smell oakmoss and the vanilla which are both listed as drydown notes. This is a very English type scent I think and one that would easily appeal to women as well as men. When my friend Kathy aka the Minx smelled it , she immediately said " I would wear this". Part of the proceeds from Aventus will will benefit American Rivers, a charity that tries to protect US waterways from harm. Nice cause and well needed. 30ml is $140 or 75ml is $240. DivaDebbi shares two straightening products that are giving great results, while every one around her is opting for a Brazilian. Alford and Hoff is a luxury skincare line for men as well as a lovely men's fragrance. The line was founded by two former athletes who looking for top notch skincare aligned with Dr. John Gross Of USC, famed in plastic surgery. Together they created the skin line using a proprietary anti-aging ingredient called "Sir2stac Complex" which is Sirtuin activating. The fragrance is named simply Alford and Hoff and was created by well known perfumer Rodrigo Flores-Roux of Givaudan. 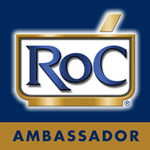 Quality ingredients were used here including what is called ORPUR " the highest quality absolute exclusive to Givaudan" which is included in the topnote . Alford and Hoff starts out rather sweet smelling for a men's scent but it's still masculine. It smells like light rum , maybe a rum and vanilla coke without the coke? There is a vanilla note in there and that along with the rum lasts throughout to the drydown. I get some musk, and then the amber notes towards the drydown. This is not a dry scent nor is aquatic at all, which I found refreshing. That blend of rum, vanilla , and amber makes it a very warm and soft scent. One that warms up more as it goes. It is not strong nor light, and has medium sillage. It's quite different from any men's scent I've tried in awhile. If you love masculine scents ( as this could be unisex) or are looking for something special and high end for the man in your life, it's definitely worth a sniff. -Topnote: The aromatic power of fresh citrus and intoxicating herbs. -Midnote: The scent deepens as a drop of sweet rum leads into the core of rare oils and absolutes. Warm, addictive vanilla and tonka beans from the world’s most exotic regions. -Drydown: The long lasting background of golden molten amber poured over weathered leather and soft suede . 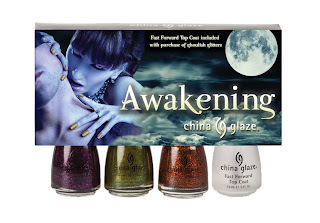 China Glaze has 2 limited collections lined up for fall in addition the their regular ones. 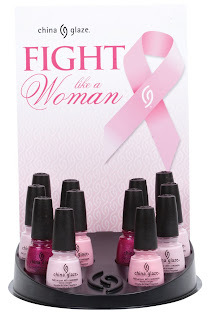 One is to fight breast cancer called Fight Like A Woman and Awakening is a hot Halloween themed trio of glitter infused colors. China Glaze posted their own swatches on Twitter( @ChinaGlaze) the other day of Awakening and I added my favorite Zombie Zest here and Mummy May I. That mossy green is perfect and not just for Halloween. The full display will be available at Sally’s Beauty Supply Stores only and the 4 piece with free Fast Forward Top Coat will be available at all other beauty and nail supply outlets, stores and e-tailers. Anthony Logistics has carved out a reputation as a company that gives. 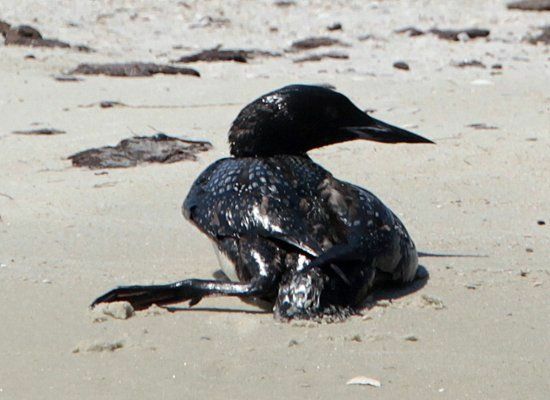 That giving is now extended to the embattled birds in the Gulf oil spill. It breaks my heart when I see images of these poor creatures and I am glad that rescue organizations are there doing their best. One of these is Tri State Bird Rescue. If you watch Anderson Cooper on CNN you may have seen them in action cleaning the birds. To help the rescue Anthony is giving 50 percent of all proceeds from their Anthony Logistics For Men Body Cleansing Gels and Shampoos to Tri-State Bird Rescue and Research and Brown Pelican bird adoption program (Louisiana’s state bird) to support the wildlife rescue efforts following the Deepwater Horizon incident in the Gulf of Mexico.
" Anthony For Men chose Tri-State Bird Rescue because the organization is one of only two organizations in the country that can professionally manage a response to a major spill. Rehabilitation of oiled wildlife is a complex, crisis-oriented endeavor and Tri-State takes a teamwork approach to oil spill training and response, stressing the need for regulatory agencies, responsible parties, state and federal wildlife professionals, colleagues in wildlife care and concerned citizens to work together both in preparations for and response to oil spills. " 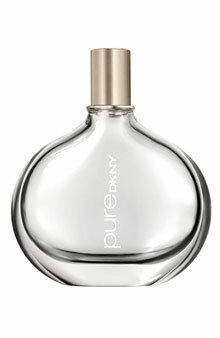 A drop of vanilla in water , that's the description of the new pureDKNY fragrance. It is of course a bit more than that but the vanilla is important as the vanilla used is harvested in Uganda via the CARE organization, who work with Ugandan villages to assist the women in learning to be self-sufficient. Lasting power is good and sillage is light. The official notes are : dew drop petal accord, lotus flower, bulgarian rose, jasmine, freesia, orchid, white amber, sandalwood and vanilla in water. DKNY is trying to be as eco-friendly as they can in the packaging. The glass of the bottle is recyclable, the carton recyclable or compostable and made from Certfied Forest Paper. I try a lot of cleansers and generally like most of them , but am always it seems, on the hunt for the very best one. I think at last I have it- new Zero Oil from Origins. When I first started using this we had just begun a week of high 90 temps, then it went over 100 . With my oily skin I expected meltdown and oil overload , yet when I looked in the mirror even after being out for a bit, my makeup looked great. Maybe a light powder needed but that was it. I thought , what's changed? And realized it was the cleanser. Nothing has ever slowed down my oil like this and believe me I have tried. Do I still get some shine and oil, of course , but far less than normal. It really works and I was amazed. Zero Oil has saw palmetto , mint and salicylic acid. It does have a minty feel and smell and gets skin super clean. Blessedly I seem to be seeing less blackheads on my nose also . Another first- I rarely need toner after this. Toner is a must normally. 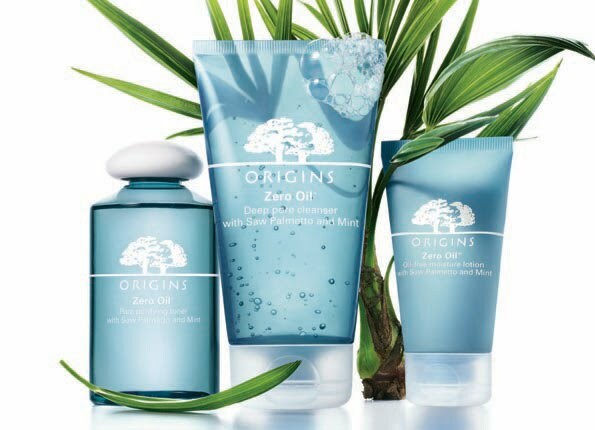 Zero Oil is actually a whole line and Origin's says it is proven treat acne , reduce pore size and unclog pores with regular use of all products. The line also has a moisturizer which is a light, light, gel/cream with just the barest hint of moisture as well as salicylic acid that blends immediately and also a toner and instant matte which I haven't tried yet. For this hot weather, my go to combo has been the Zero Oil cleanser and Clinique's new Acne Solutions foundation. These two get the job done and give me a basically flawless face for much of the day. The Closer with the amazing Kyra Sedgwick is back on tomorrow ( July 12). Fans are happy to welcome Brenda Leigh back to the small screen. Part of Brenda, like most characters is her look. It's evolved to be a bit more chic but she never gets too fashionable on us. That's simply not something Brenda worries about. This season celebrity makeup Artist Robin Siegel has been using many products by Dior beauty on Kyra as Brenda. Fans will note Brenda always has a pink lipstick on, usually fairly bright, it's kind of her signature and I recall an interview with Kyra once where she said she hoped they always kept her in that pink. It's a bit much sometimes and she would look better in many other shades, but it's as much a part of the character as anything. - Dior 1-Colour Eyeshadow in Infra Rose #826, Brown Fever #566, Trendy Taupe #066 and Gold Touch #546 . Rouge Dior Lipstick in Pink Preview #475 and Diorama #066. Robin will also be using the new Hydra Life skincare line and Capture Total One Essential on Kyra. Bumble and bumble hairstylist Rolando Beauchamp( including Kim Kardashian, Kristen Davis and runway work) has his own YouTube channel where you can see some quick and simple summer hairdos. Bath and Body Works brought out a new Signature line for men last month. 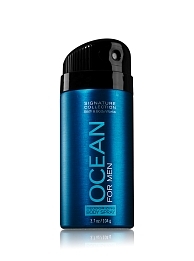 It comprises 4 scents and 3 different products- body wash, deodorizing body spray, and cologne. What I loved was the quality here. These smell really good. 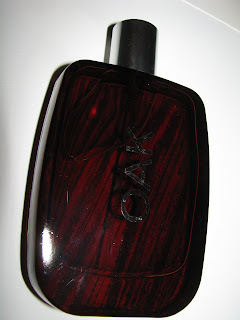 I had the Oak cologne to try and to me this smells every bit as good as many high end men's fragrances. I love when great scent can be gotten a good price point but only if the quality is there. Oak is my favorite, but the others , especially Ocean, were nice as well. Oak is a bit sweet, and smells at times to me like old , oak cask aged whiskey. There obviously is an oak note and it's a dark oak. Plenty of soft woods give it a lived in feel ( mainly the cedarwood) and it sits really well on the skin. It's not strong at all and has no aquatic or green notes . You can find them in the other fragrances in the line. 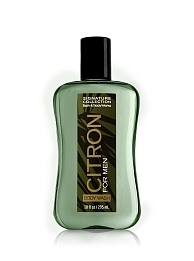 Citron- a woodsy citrus with sandalwood , Ocean- green, fresh and aquatic with vetiver and Noir- which I haven't tried. All are available now at all Bath and Body Works stores and online. The big semi annual sale just ended, but there are still deals on multiple bottles. Womanity is Thierry Mugler's newest go at making something new to the fragrance world. His Angel was groundbreaking and at this point is iconic. 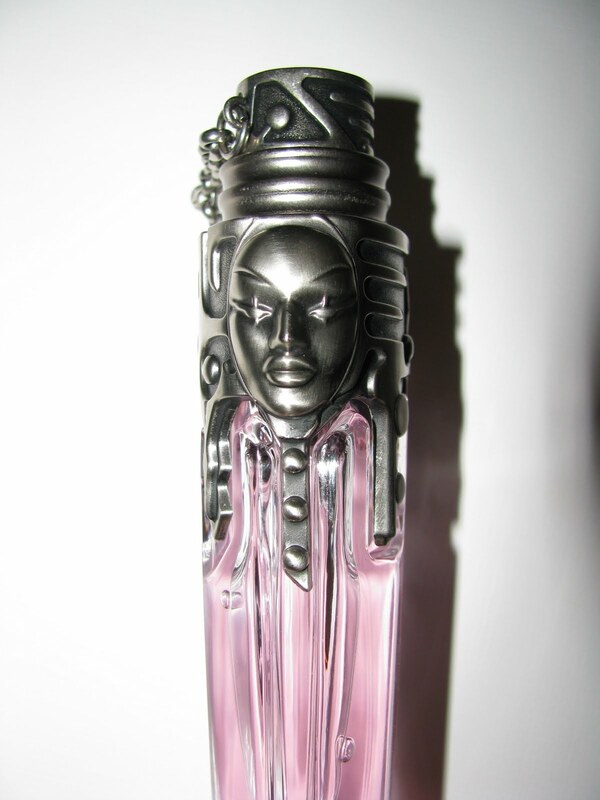 Love it or not, it changed/made fragrance history. Now Womanity is using a sweet/savory accord that is very unique , created by molecular distialltion and not done before. Womanity is also his ode to the power of women. Womanity starts sweet ( the fig note), and then gets floral with peony and then the savory aspect comes along quickly. It doesn't smell fishy or like caviar but instead has a very salty note. A little like a dirty , sand covered seashell on the beach. The pink pepper comes along in the middle . The salty note stays there until the drydown but is less present and the perfume ends up being mostly floral but a somewhat unusual floral. It definitely is different than anything else but not wildly different. It takes some getting used too, but at the same time, when I first smelled it, I liked it. Womanity should appeal to many, but will certainly vary from person to person. As I said the salty, savory note is very much there but not too strong at the end , so you need to really give this a full drydown test before saying you do or don't like it. One of the coolest parts of Womanity is the bottle. First off it's refillable. Then there is the totem face carving at the top. The glass is carved as well under the face and there is a ring around the atomizer attached to chain that comes off. It's an amazing presentation. Womanity comes in a full line of body cream, body milk, shower gel andspray deodarant. All these bottles has a smaller version of the totem on top. Nothing has been left out here. Flowerbomb La Vie En Rose is the new summer LE addition to the Flowerbomb line and is exclusive to Sephora. La Vie En Rose is lighter, and yes, has a little bit of a rose note in there . Nothing strong about the rose here or the whole scent itself. The freesia note is most prominent to my nose and it has some citrus splash to it . By the drydown the original's patchouli note is there but far less. Just enough to ground the fragrance. If the original was too powerful for you, than this new version might be worth a look, or sniff. Lasting power is medium and sillage is also medium. 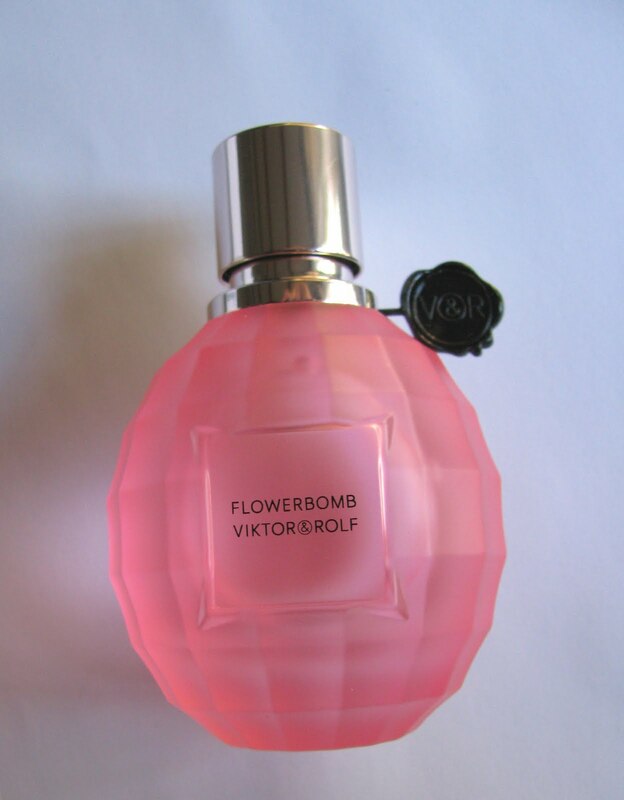 Flowerbomb La Vie En Rose is LE and $ 80.00 for 1.7 oz at Sephora.com and in stores. Daphne Guinness is a style icon. She wears couture as most women wear sportswear . Recently she purchased the entire collection of the late Isabella Blow's hats. I hope someday she exhibits them so everyone can see . 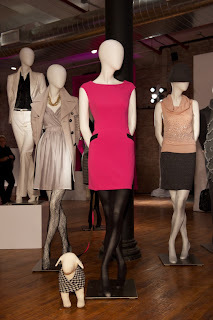 Guinness is also friends with Francois Nars and is now not only the face of fall , but has her own monikered eye shadow. Daphne is a royal purple and Guinness is wearing it in the ads along with several other new releases. I don't think it even looks like her in the picture, but either way it's a stunning image. The eyeshadow, well it looks like a beauty . -Rouge Basque lipstick- a true red. In other NARS news, he is thinking about opening a free standing boutique , probably on Bleecker in NYC this fall. The store will have special items in addition to the full line. Fall 2010 will be online July 15 at http://www.narscosmetics.com/ and on counters in August. MAC Venomous Villains is one of the most anticipated new collections in awhile. 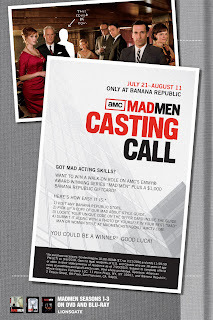 First we waited to see what villains they would be and now details are emerging a bit. The villain list is Cruella De Vil, Maleficient, Evil Queen from Snow White, and a male villain- Dr. Facilier from The Princess and The Frog. According to MAC the colors in the line ( 40 shades) are all based on Pantone shade reproductions of the original Disney artist drawings. 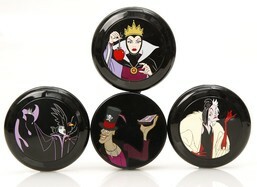 For Maleficient " offbeat purples, blackened shades and pearlized nails" are used. New are Magically Cool Liquid Powders ( I almost typed Magically Delicious, you know you thought it). These powders are fronted by Dr. Facilier and are "featherlight powders that go on like a mist and either sets or enhances foundation". They can also be used on naked skin. September 30 is the launch date. All quotes Jennifer Balbier of MAC . Lierac as well as making some top skincare also has a self tanning line. Two products are Autobronzant Hydratation Corps , a self tanning lotion for body and Bronzage Parfait Sans Soliel, a self tanning face gel. The face gel is lightweight, non greasy and dries fast. It gives a subtle hint of of color after several hours. 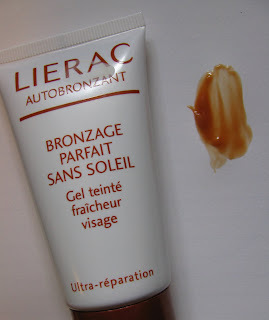 I am fairly pale and using this the first time I had a golden glow but it was just there, nothing too bronze or over done. In fact I would have been happy to have it darker. This makes it great for those us who are pale or someone who just wants to boost their skintone a bit. The body lotion is a medium weight , moisturizing lotion that delivers a medium shade of color. Not as dark as many out there but a definite golden tan . The moisturizing properties make this especially nice if you have drier skin already. According to Lierac , this is also one to use to help prolong an existing tan and even it out. Clumps of Mascara gives her readers a sunburned reminder. The Informed Makeup Maven shows you new ways to use the CoverFX's Skin Prep. Butterflydiary is all over La Mer's new commemorative Ocean Day Packaging. Krasey Beauty jumps into the world of Becca Cosmetics, and promptly falls in love!